As word came this week that yet another round of layoffs were planned for The Denver Post's newsroom, lawmakers at the Capitol worried about what the future would look like with less news. Among those concerned about the fate of news is Rep. Larry Liston, who for years has clipped articles from newspapers to keep track of what's going on. State lawmakers in both parties appeared shocked at news of the steep layoffs proposed at the Denver Post. People these days, the Colorado Springs Republican said, admit to him that they generally don't keep up with the news. “They kind of just go around in a fog," Liston said. "I hate to say that, but they don’t get news and what little they get is by drips and drabs from wherever they get it -- from a news blog, and it’s supposedly true because they heard it on the internet. Sad." Back in 2007, The Denver Post's newsroom had more than 200 employees -- as well as the fierce competition of another large-circulation daily, the Rocky Mountain News. Rep. Dominique Jackson, D-Aurora, said that competition made her better-informed. The News shut down in 2009 and, since then, the Post's newsroom has steadily declined. It will number about 60 news staffers after the latest round of cuts, a reduction of about a third. Post reporter Jesse Paul said the cuts will leave the newspaper with fewer boots on the ground to chase stories: about 20 reporters for all the news and institutions in the state. “I’ve been here for four years and I’ve gone through at least four rounds of staffing reductions, and this one is just by far the most painful,” Paul said. 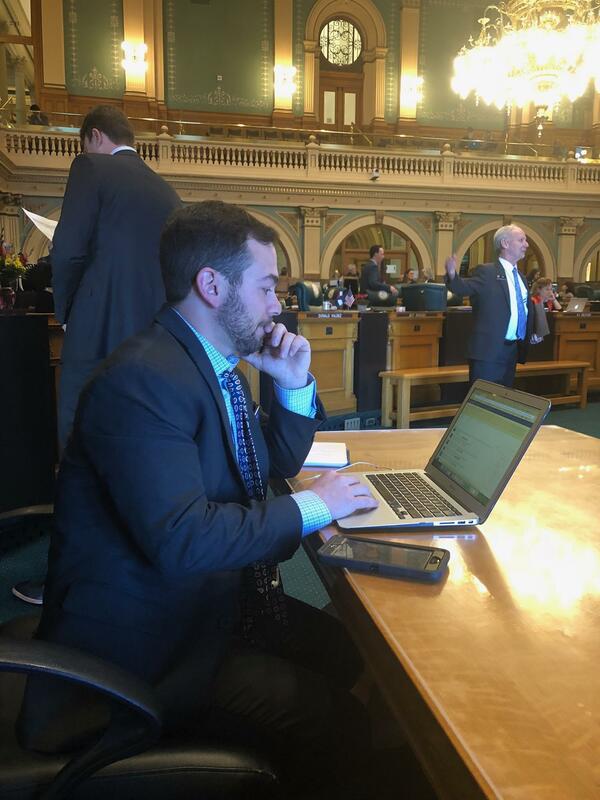 “Seeing what this is going to do to The Denver Post, I just can’t even put into words how much less we’re going to be able to do.” He’s one of three Post reporters based at the Capitol, the largest contingent of any news organization in Colorado. The Post is also the only media outlet in the state that has a reporter based in Washington D.C., who looks out for issues relevant to Coloradans. The Post isn't alone in its newsroom decline. Layoffs are taking place at newspapers across the country. One long-time culprit is a decline in print advertising dollars amid changing strategies to bring in more digital revenue. DenverPost.com recently added a paywall that requires people to pay for access to articles. Denver Post reporter Jesse Paul is based at the state capitol. He joined the newspaper four years ago and said it's his dream job. 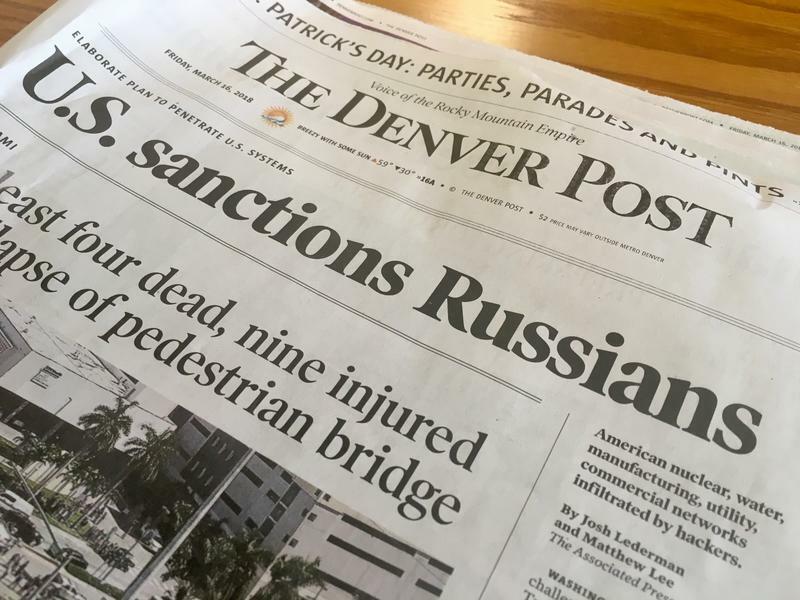 “Even if it’s part of a trend, it’s especially severe, I think, both in terms of the cuts just announced, and trying to run a paper for a metro the size of Denver on that small staff,” said Rick Edmonds, a media business analyst for the Poynter Institute. Edmonds added that the Post's total news staff would be less than half the size of some newspapers in similar markets. Staff members have until March 21 to voluntarily leave or layoffs will be announced by managers. Many at the newspaper are already searching for other jobs, some outside of journalism altogether. She’s 25 and was already laid off once by the Post in 2016 then re-hired three weeks ago. She expects to soon be out of a job again. The Post's parent company, Digital First Media, is owned by New York-based hedge fund Alden Capital. While the privately owned company doesn’t have to reveal financial data, reporters said they’ve been told the newspaper is profitable, but that it’s not reaching financial targets. 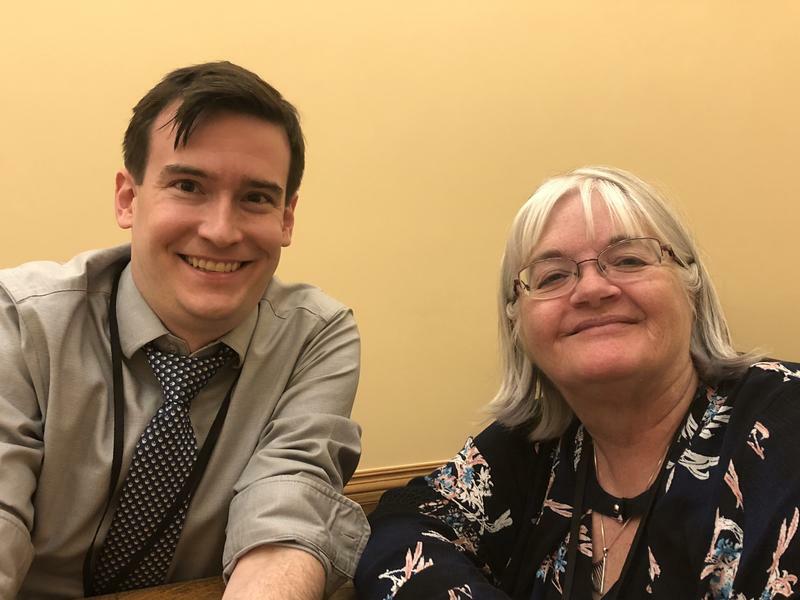 One lawmaker joked, ”Hey that means we can do whatever we want" -- because fewer of the newspaper's resources may go to the watchdog role of covering lawmakers at the Capitol. Other lawmakers grumbled about the layoffs, noting that their bills don’t get enough coverage as it is and expressed disappointment at how little the public knows about what happens at the Capitol. Rep. Jeff Bridges, D-Denver, said less reporting is a blow to democracy. The Denver Post will cut 25 positions by April 9 and five more by July 1. Those that remain at the newspaper may have to switch what they cover or how they cover it. They’ll also have to brace for the possibility that these cuts won’t be the last. More than 100 Senate staff, aides and interns have been warned against speaking to journalists about workplace issues, including sexual harassment, and the trainings aimed at preventing it. At issue are two emails obtained from Senate sources that say it is a violation of the chamber's policies for workers to grant interviews to reporters. A third email, sent directly to us by the top Senate administrator, asked us to tell members of other news organizations not to approach aides and interns for interviews, but rather to speak with communications secretaries. We didn't act on that request because it's not our role to direct the reporting of other news organizations. 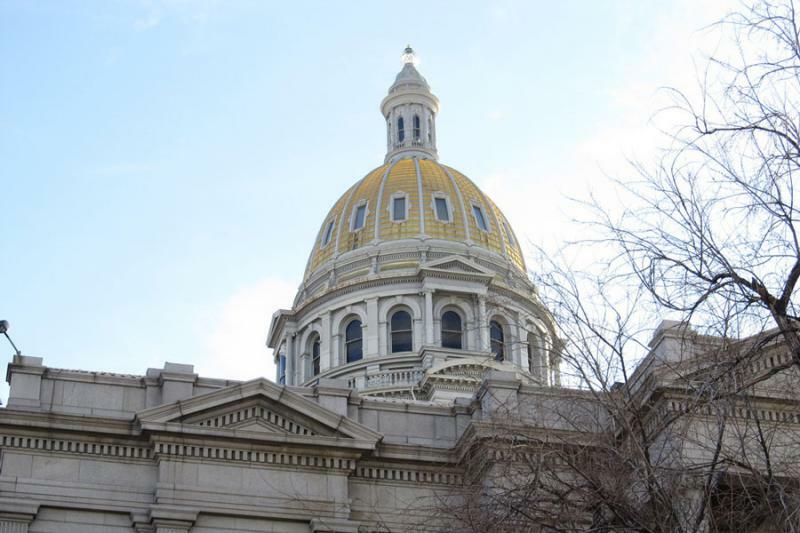 Colorado lawmakers from both sides of the aisle recently voted out one of their own. The decision to expel Representative Steve Lebsock, (D) came after an independent report found the allegations of sexual harassment brought forth by five women to be credible. Bente Birkeland discussed the outcome of the vote with Brian Eason of the Denver Post and Marianne Goodland with Colorado Politics, specifically about what swayed some lawmakers, and how that could impact what’s happening in the Senate where three lawmakers have also been investigated for sexual harassment. It was a dramatic and at times tearful day at Colorado’s Capitol as member after member of the House made statements for and against the removal of a fellow legislator. In the end, the chamber voted 52-9 to oust Rep. Steve Lebsock, who had been accused by five women of sexual harassment and retaliation. Those allegations were “more likely than not” to have occurred, an investigation concluded early this week.